***Before we proceed any further I would like to clarify that I am NOT a doctor of Tibetan Medicine, nor do I diagnose and/or treat people in this area of expertise.My knowledge comes from what I have learned from my teacher and Root Lama, the venerable Tulku Lobsang Rinpoche, who IS a doctor of Tibetan Medicine in addition to being a high Tantrayana Buddhist master. Having briefly touched upon how the Mind is the ‘behind the scenes’ power for the Body to exist, we move into the realm of the Three Humors as they are the basis of the theory and practice of Tibetan Medicine. The humors are the vital substances of the body responsible for all bodily functions. They rule physiology, anatomy and morphology, regulate the functioning of the body, its organs, the brain, nerves, bones, blood circulation, lymphatic systems, digestion etc. The three humors also produce the temperament and quality of a person’s body and mind. In effect, they weave together the physical and subtle levels of the Body. The Three Humors – Lung (Wind), Tripa (Bile) and Beken (Phlegm) carry both subtle and physical energies in and out of the body from birth to the end of life. They are also inherently delicate by nature and thus can easily become unbalanced. All diseases are described in terms of an imbalance of one or more of the humors. Since the three humors are an integral part of our bodies, in Tibetan Medicine, it is said that we carry the seeds of disease within us. As soon as there is a cause and a condition, the unmanifested disease will become apparent. Taking this one step further … each humor is also linked to one of three mental poisons. When Tripa (Bile) is out of balance it causes anger, unbalanced Lung (Wind) causes attachment or grasping, and unbalanced Beken (Phlegm) creates delusion or ignorance. It is precisely this association that creates the link between imbalances of the mind/emotions and those of the body. For example, if someone is always angry (bile), no matter what is done to treat the liver (gallbladder), if the anger is not addressed as well the liver will continue to ail. Healing the Body also means Healing the Mind. In sum … Balanced humors give positive health and harmony to the body/mind, and provide a good base for the development of the immune system. On the contrary, the loss of balance among the humors causes energy disharmony, either physical and/or mental disequilibrium, which may appear at any time and become the cause of diseases. ************* In the next installment we take a closer look at each of the three humors. Ok, Yes …I can do this … but it sure as heck will be a unique learning experience with three tech-savvy sons offering critiques and chuckles along the way! So … Why Blog? Well … Why not? First business – To usher in the Chinese New Year as we are officially in the Year of the Green Wood Horse! The Chinese zodiac – or Shēngxiào – is a calendar system originating in the Han dynasty (206-220BC), which names each of the years in its 12-year cycle after an animal: the rat, ox, tiger, rabbit, dragon, snake, horse, goat, monkey, rooster, dog and pig, in that order. According to the system, the universe is made up of five elements – earth, water, fire, wood and metal – which interact with the 12 animals, resulting in the specific character of the year ahead. According to superstition, in your zodiac year you will offend Tai Sui, the god of age, and will experience bad luck for the whole year. To avoid this you should wear something red, which has been given to you by someone else. In general, the lucky colors of Team Horse are green, red and purple; the lucky numbers are three, four and nine; and the lucky flowers are giant taro and jasmine. 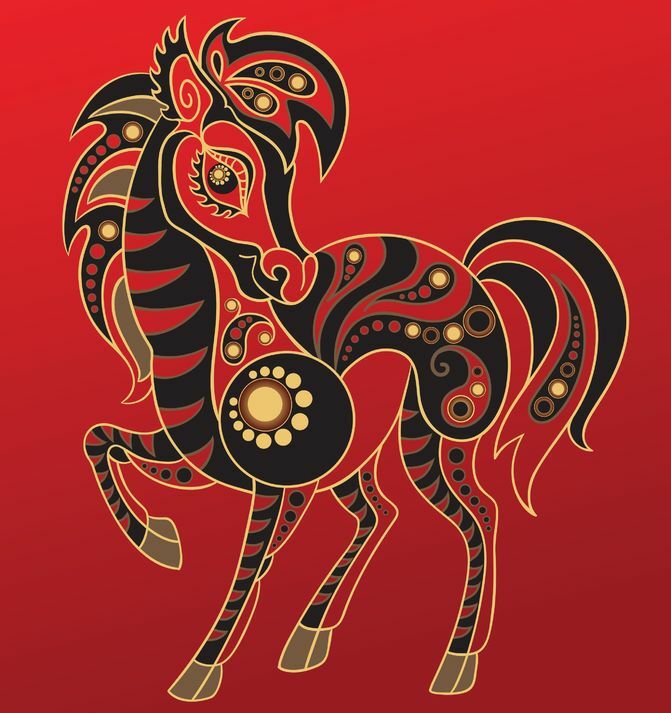 The Year of the Horse is a year in which people are likely to stand firm on their principles, making negotiation difficult. Years of the Wooden Horse are also associated with warfare. The last time the Year of the Wood Horse occurred was 1954 — and it just so happens that the United States tested the hydrogen bomb on Bikini Atoll in the Marshall Islands that year. Just something to think about. So with ALL of that clarified, Gong Xi Fa Cai (Mandarin) … Gong Hey Fat Choy (Cantonese) … Happy New Year!